This is a stamp I made in a relief and letterpress class i took in Fall 2016. 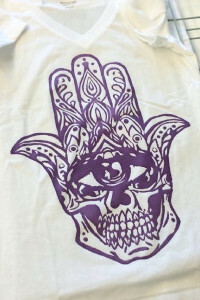 It is a monster skull mixed with a Hamsa hand. 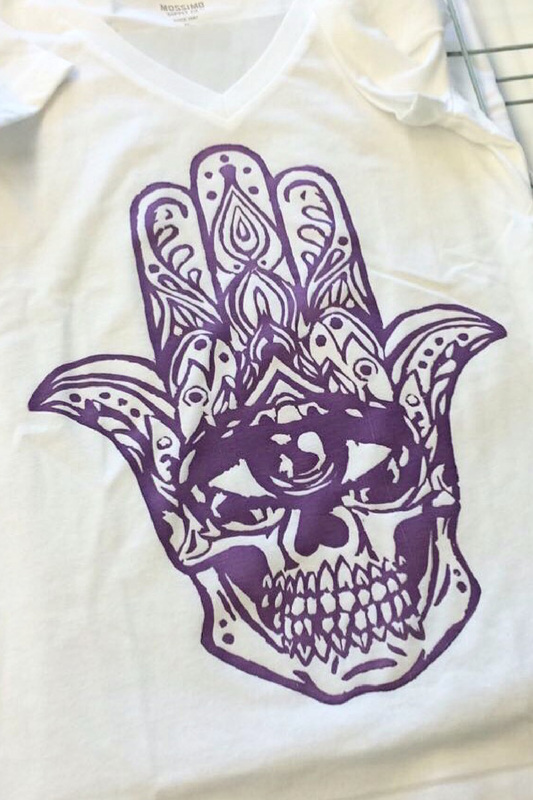 I printed it onto multiple shirts, so let me know if you want one!